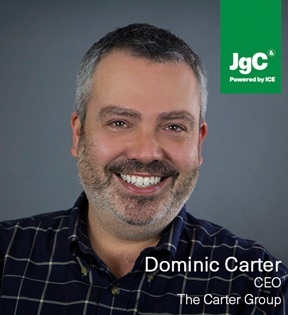 London, 13 February 2019: Carter Group CEO Dominic Carter has warned newcomers to the Japanese market that the fate of their brand is on a knife edge even before consumers are educated on casino culture. “You have to build trust and confidence around who you are, even before you start talking about what you’re going to do”, he told Clarion Gaming ahead of his appearance at JgC (Japan Gaming Congress) in May. Carter said building partnerships with trusted brands locally is the best way to create confidence in a new or foreign brand. Based out of Tokyo, Carter Group has been advising entrants to the Japanese market for 30 years. Clients in the leisure and entertainment space include Universal Studios Japan and a number of casinos bidding for the new licenses. Carter said the “idea of what a casino is remains pretty much a blank slate” and urged those looking to enter the market to think carefully about positioning the product for the Japanese consumer. “We’re still at a very early stage in the game. That’s the bottom line. The battle for how this is going to be perceived, has not been fought yet”, he said. The Japanese government began to flesh out the requirements for the proposed integrated resorts in early February, releasing a new Integrated Resort Development and Promotion Ordinance. The total gaming floor space remains at just 3% of the entire resort, however the document provided additional context clarifying that guest room floor space must measure no less than 100,000 square meters. The scale of the proposed resorts was further emphasised in the guidance on exhibition and conference facilities, which must be between 120,000 and 200,000 square meters. JgC will take place 16-17 May, 2019 at the five-star Conrad Hotel in Tokyo, Japan. The event will gather C-level executives from operators, regulators, government and suppliers in a unique programme designed to deliver targeted insight on the regions gaming industry and the seminal Japanese integrated resorts bill, which passed last summer. Alongside Carter, the line-up of high profile and influential speakers includes; Japanese Liberal Democratic Party executive acting secretary-general Koichi Hagiuda, Goldman Sachs Japan vice president Masaru Sugiyama and Galaxy Entertainment Group president Michael Mecca. JgC is part of the Clarion Gaming portfolio, the conference and exhibition powerhouse behind the gaming industry’s biggest B2B exhibition ICE London.